Pros: The first-rate performances and amazing attention to detail in design and staging take this show from good to excellent. Cons: This fairly run-of-the-mill story about a father-son relationship is not going to catch anyone off guard. A touching play about the difficulties of sharing your emotions and facing up to a changing world. 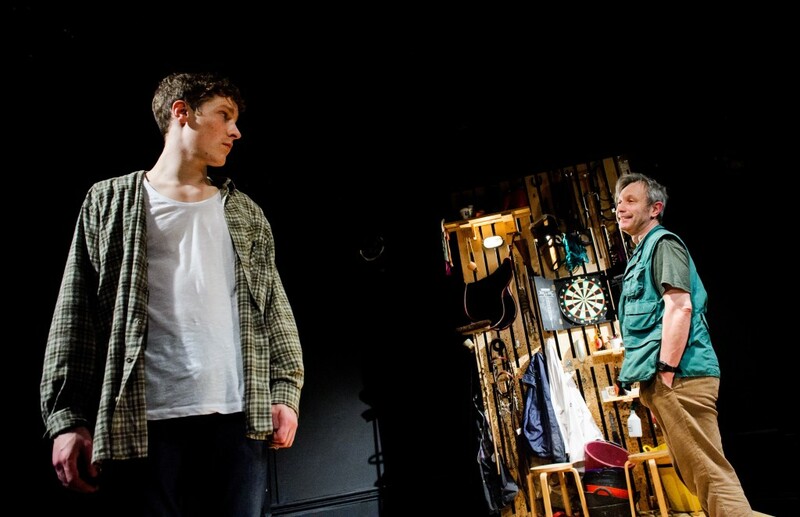 Daniel Foxsmith’s new play Weald introduces the audience to two men: Sam is the fifty-something owner of a livery stable somewhere in rural England, Jim is the 25 year old lad who has come back home from London and wants a few weeks’ work. Jim has worked for Sam, who is something of a surrogate father to him, before, but the two didn’t part ways amicably last time. Nevertheless, Sam decides to give him another shot. What follows is a good hour of friendly teasing, a lot of beating around the bush and the occasional frustrated outburst as the men try to figure out how to talk to each other about the things that matter to them. The play itself is decent, although, apart from a mildly surprising twist just before the end, it doesn’t bring anything new to the table. Its rural setting is slightly unusual, but apart from that it’s a familiar tale of male bonding, and some of the events are so clearly signposted that you can spot them a mile off. Also annoyingly commonplace is its lack of female characters; apparently ‘learning how to be a man’ in the 21st century does not involve women, except when you accidently get one pregnant. But the writing is solid and even in limited time and with few words, Foxsmith credibly creates two characters who obviously have quite a bit of history between them. 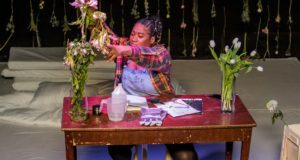 What takes the play from good to excellent, however, is the strength of this particular production, directed by Bryony Shanahan. As anyone who’s ever been to the Finborough will know, it’s possibly one of the tiniest theatres in London. Hardly the place to stage a show that involves multiple horses, you might think. But with the fantastic attention to detail that’s so obvious in the surrounding set, the staging, the sound, the light and the performances themselves, looking at an empty space on the stage and seeing a horse there is remarkably easy. Actors David Crellin and Dan Parr click their tongues and stroke thin air with such genuine tenderness that I doubt having the real deal on stage would’ve made the show any more realistic. Both actors also excel at wringing every last drop of meaning from their lines. As one might expect from a play about two rather withdrawn men talking about their feelings, most of the emotion actually goes unspoken. Crellin and Parr have obviously read between the lines however, and manage to suggest a deep if somewhat difficult bond without words. 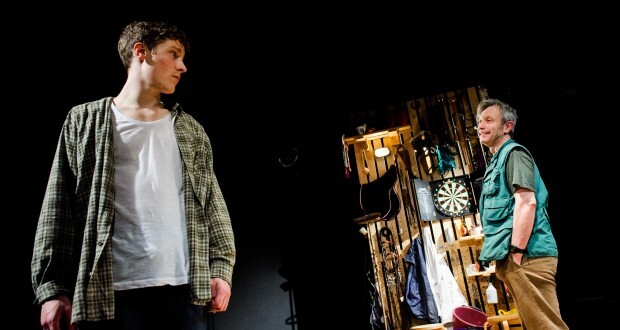 At the same time, Weald is also a play about a lifestyle under threat, and about how people respond when the future comes knocking. History-loving Sam is obviously not ready for the world of smartphones and megacities, instead preferring to defend his legacy. To what extent that’s a feasible response is not answered, but it adds an extra layer of depth to this touching play. 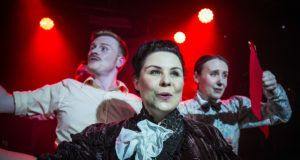 For a trip to the theatre, the Finborough would always be one of my top recommendations, but Weald will absolutely make it worth your while.